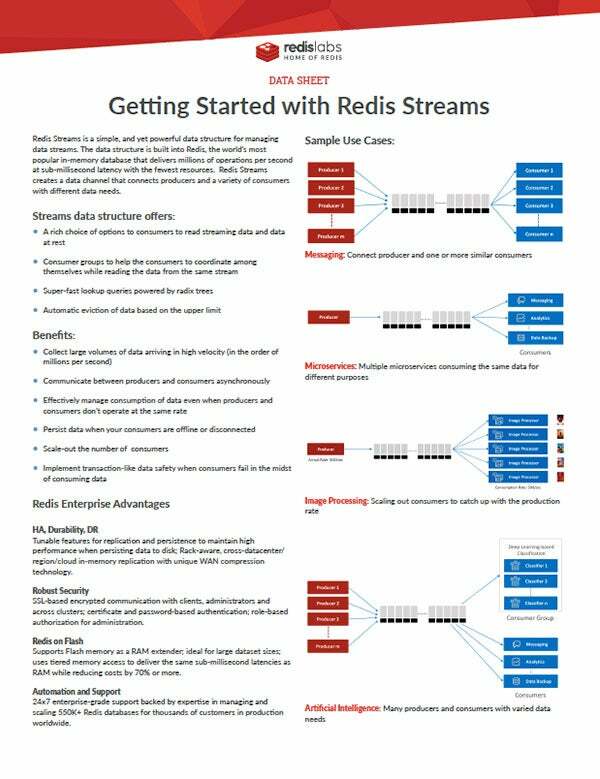 Redis Streams is a simple, and yet powerful data structure for managing data streams. The data structure is built into Redis, the world’s most popular in-memory database that delivers millions of operations per second at sub-millisecond latency with the fewest resources. Redis Streams creates a data channel that connects producers and a variety of consumers with different data needs.